169 x 131 mm., 6 ½ x 5 in. 132 x 223 mm., 5 x 8 ¾ in. 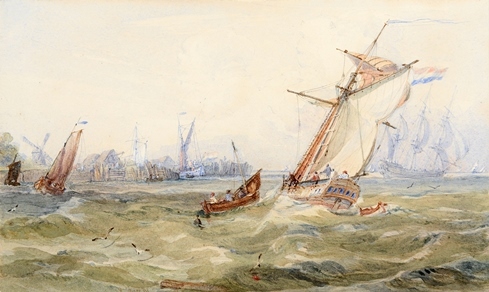 Nothing is known of Owen’s life until he exhibited a marine view at the Royal Academy in 1791. 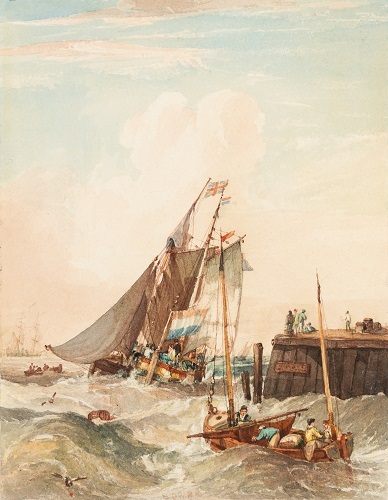 He specialised in small-scale marine and coastal views in a distinctive style reminiscent of Francia.